Potatoes - The amazing aroma of extra virgin olive oil steaming up from a hot potato is heaven on a plate! Lighten the "load" on baked potatoes without sacrificing flavor by opting for a simple EVOO drizzle as a topping, adding some herbs, chives or seasoning for a treat. Also consider olive oil for creamy, flavorful mashed pototoes and perfectly roasted spuds too! Pasta - Nothing can be simpler on a busy weeknight than boiling water for your favorite pasta. Add whatever veggies you like or have on hand - peas, tomatoes, peppers, squash - and toss with a tasty extra virgin olive oil. Freshly grated parmesan tops off a simple but satisfying dish. Poaching - foods poached in olive oil have amazing texture and flavor. Many recipes are available for foods like eggs and fish, but you will also find recipes for meats like chicken and beef and sides like carrots. The key with poaching is lots of oil and very low temperatures, which result in evenly-cooked food and delectable meats and fish. Filter the oil afterwards and it can be used several times. 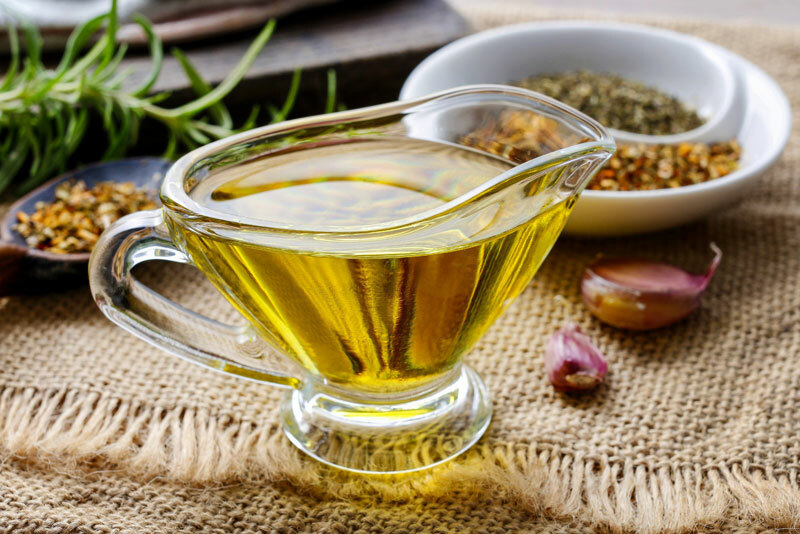 Watch Chef Ed Moro discuss substituting olive oil in home cooking and poaching with olive oil in these videos from the North American Olive Oil Association.